If you live in South Florida and in the market to bring a beautiful bronze woman home with you there are two options. Option 1, you can head to the beach. Since you live in South Florida there are beautiful tan women all around, but unfortunately you struck out. Now you are at home looking up bronze statues for sale which brought you to our site. Option 2, you realized that in the long run the bronze girls you see at the beach are going to cost more than a bronze statue. So you skipped the beach, stayed home and started researching bronze statues for sale. We are luckily enough to not have high overhead on these statues so we pass those savings onto you. If you live in South Florida we are able to sell, deliver and install your bronze statue at a cheaper price than you can find anywhere else online. If you find a bronze statue for sale elsewhere online that you like, send it to us. Our wholesaler most likely has it and we will get it to you and set it up for cheaper. If the bronze statue you are interested in is also a fountain, you are in luck! We are experts at installing thousand pound concrete fountains. For us, the installation of a bronze statue fountain is a piece of cake. At Artistic Statuary we specialize in statues of all makes and sizes. We manufacture a wide variety of concrete statues, but also carry a selection of bronze statues, ceramic statues, and painted concrete statues that we get from wholesalers throughout the country. Although the bronze statues originate in Thailand, the bronze sculptures come to us from one of the largest wholesalers in the country conveniently located in Miami. 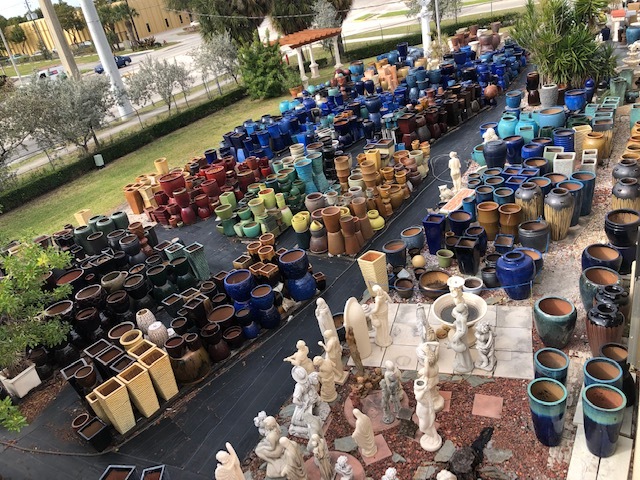 We specialize in a wide variety of areas like fountains, ceramic pottery, and statues. The combination of a close wholesaler and bronze statues being a part of our business allows us to keep costs down. The bronze statues for sale in our storefront are just the tip of the iceberg of what is to offer. To purchase a bronze statue from us, view our wholesalers catalog below. Pick out the bronze sculpture that you like and give us a call at 954-975-9533 or email us at info@artisticstatuary.com . We will get back to you with a great price. If you are local, let us know if you want us to setup your bronze statue for you. 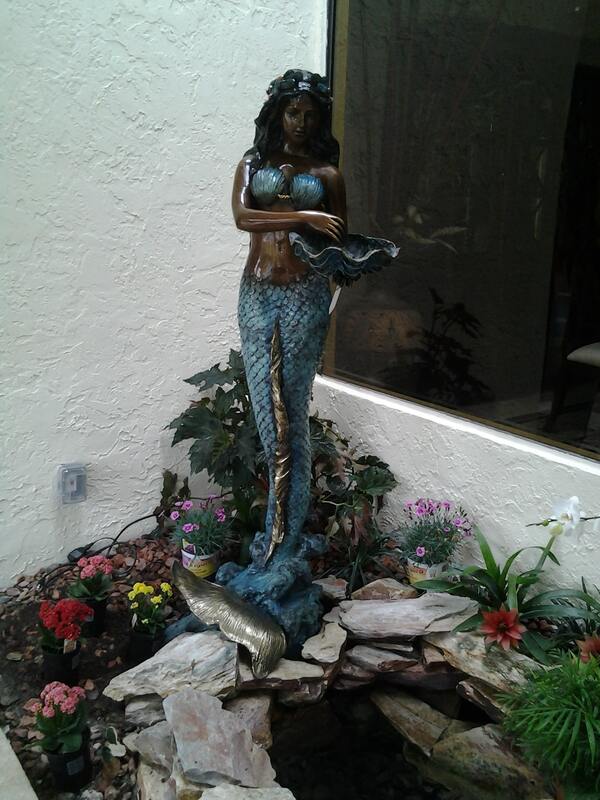 This beautiful mermaid was sold, delivered, and installed by Artistic Statuary.